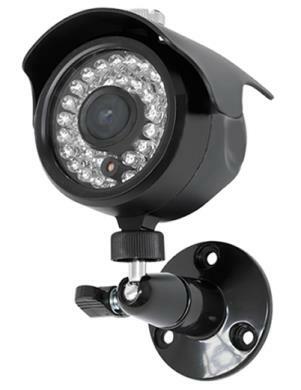 The 6032IR camera consisting of 35 IR LEDs, 620 lines of resolution and 3.6mm lens. Its small size perfectly suits with confidential security purpose. Despite the small size the camera can cover up to 80 ft. even in complete darkness. It provides full color image at day time while providing colorless yet sharp images in low light. The camera is contained in an IP67 weatherproof housing perfect for extreme weather conditions.